There will always come a time in a reader’s time when his or her favourite author diverts a little bit from the writing style and the reader will not appreciate that move. There will also be a time when the reader will start reading the book, leave it, be riddled with preconceived notions and come back to it eventually. Reading is a love-affair, between the reader and the author at so many levels. The reader bickers. The author retorts. The reader loves. The author returns the favour. There is so much going on between the two and what conjoins them of course – the written word. I felt like a jilted lover mid-way of “Colorless Tsukuru Tazaki and His Years of Pilgrimage” by Haruki Murakami. I had a love-hate relationship with it to suffice the least. 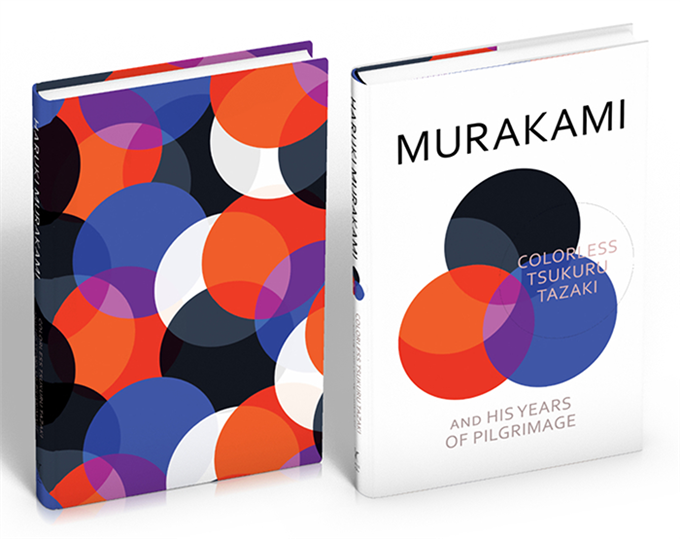 “Colorless Tsukuru Tazaki and His Years of Pilgrimage” sustain most elements of Murakami’s writing and yet seems to move away from them. While I appreciated that, there were times that nothing would make sense (not in terms of plot) and even that was alright, till it reached a stage when everything that I read felt like I had already read before. Maybe even that was alright, but somehow the pace could not keep me attached to the book after page seventy or so. I left it. I was angry. I had fought with the book. After about a week or so, I went back to it. I pleaded with it. I wooed it. I wanted to love it. I wanted to be loved by the book. I took off from where I left and somewhere down the line; I began reading it with an open mind more than anything else. Some parts I had to underline – I loved them so much, while others, I could not care for much. And now to the plot. Tsukuru Tazaki is not someone special. He is ordinary. He loves trains and train stations. He works with trains. He is away from home and does not miss them. This is typical of a Murakami novel. Well, at least so far it is. He had his friends once upon a time. The five of them were inseparable. Till they decided one fine day to cut all ties with him. Tsukuru did not know why and he never asked. He moved away from his hometown and began living life differently. Something changed within him and now after all these years, he wants to know the reason they drifted apart, and that stimulus has come in the form of someone who he is currently dating. The title comes from all his friends’ last names representing colors, while Tsukuru’s last name is colorless. The years of pilgrimage represents something else, however I shall not reveal it for now. The book is linear (for some time) and then it goes into Murakami territory – where dreams mingle with reality and nothing is what it seems. The range of emotions is wide – from envy to love to lust to everything possible, Murakami looks at it all. For me, the connect came with the friends leaving bit – it hit hard and I could not stop thinking about my friends. The parts I was disappointed in: Too many subplots, too many themes running wild in the book, with no closure at all. But of course that is what one expects from a typical Murakami novel, isn’t it? Perhaps. But for me the expectations from this one were very high and I am also glad to say that the last two chapters of the book make up for every disappointment. There are magnificently written. The words, the expressions and Tazaki’s thoughts and dreams are succinctly put for the reader to just soak himself or herself in them. “Colorless Tsukuru Tazaki and His Years of Pilgrimage” is a book that maybe is not like other Murakami books; however he does manage to stir emotions. It was a mixed read for me, as I have said before. It is mostly confusing in parts, but if you let go of those notions and read it the way it is meant to be read, then you will get to see the other side of Murakami. This entry was posted in Authors, Authors I Love, Books, Haruki Murakami, Harvill Secker, Literary Fiction, random house, Random House UK, Review and tagged Colorless Tsukuru Tazaki and His Years of Pilgrimage, Harvill Secker, japanese literature, literary fiction, random house on August 17, 2014 by thehungryreader. The year had to end with his story. There was no other way for the year to end. May be subconsciously I had saved him for the year end. “Honey Pie” by Murakami is a story of a man, his best friend and her daughter and how they try and become a family, in the wake of the Japanese Earthquake. There are layers to this story as well, like every Murakami story, but it is simply told. It is the charm and evocative nature of Murakami’s stories that keep me going as a reader. There is a story of a bear named Masakichi within this story and then there is the story of Junpei – the man who wants to shelter his friend and her daughter. The beauty of the story is in its fragility of relationships and the way it ends – happy. A story you must, well read to know what I am talking about. 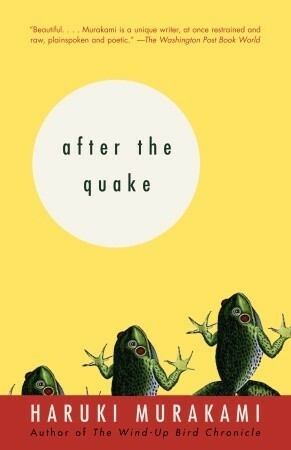 This entry was posted in 387 Short Stories, Books, Haruki Murakami, Review and tagged 387 short stories, haruki murakami, Honey Pie, Quake on December 31, 2013 by thehungryreader.